Rent out Busy Bees® for an event you and your guests won’t forget! Great for large Birthday Parties, Bridal or Baby Showers, Corporate Team Building Events, Reunions, Anniversaries, and more! 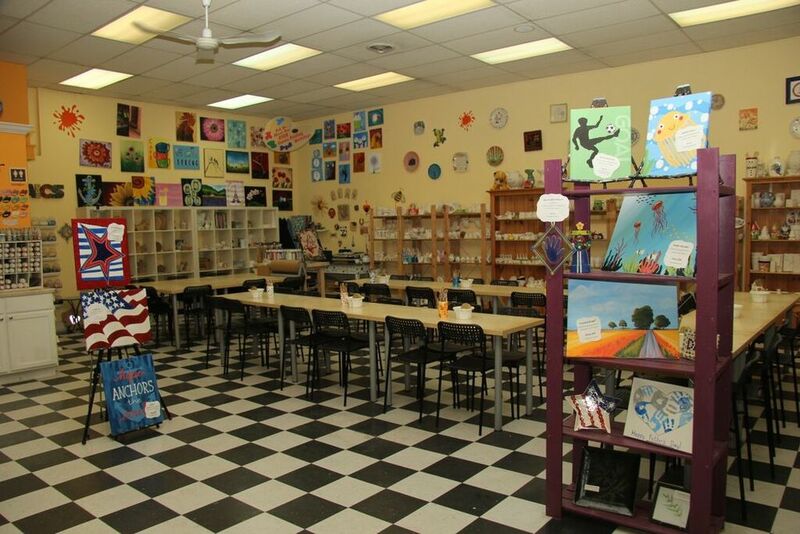 Studio Rental Fee includes the use of our studio for 3 hours, paints, supplies, glazing, & firing of all pottery pieces created by your guests. Project prices are not included. The studio is closed to the public for the 3 hours so you may decorate as you wish. We can accommodate Studio Rentals any weeknight beginning at 6pm, Saturday’s at 5pm, or Sunday’s at 4pm. Our studio will hold up to 60 guests! Call the studio at (610) 375-1020 to reserve your option!